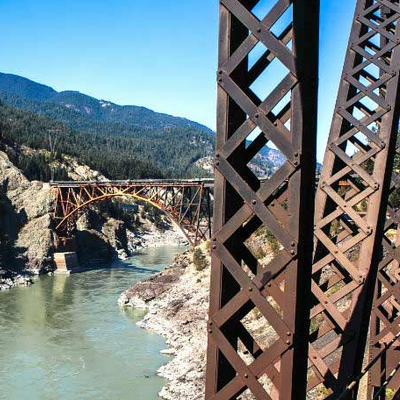 This is the Rocky Mountaineer's most popular trip and the only passenger rail service on the historic Canadian Pacific track, famous for uniting the country and connecting British Columbia to Canada 125 years ago. Prepare to travel along glacier-fed rivers and lakes, taking in the spectacular Coast, Columbia and Rocky Mountain ranges. Highlights include the Spiral Tunnel, Stoney Creek Bridge and Craigellachie, home of the Last Spike on Canada's transcontinental rail line. The trip ends in beautiful Banff, a UNESCO World Heritage site.